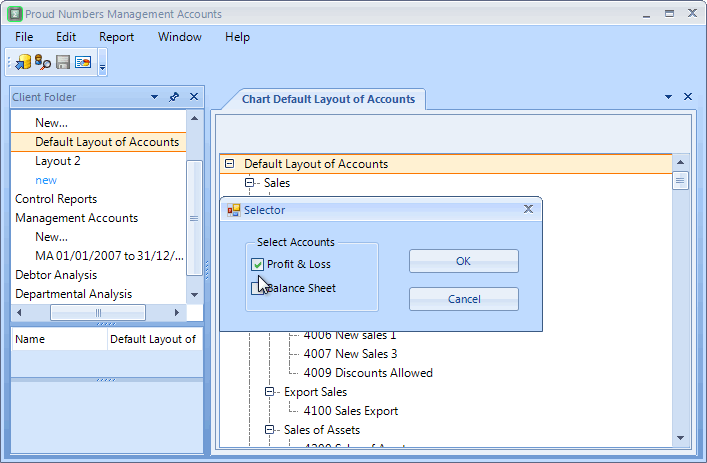 The Chart of Accounts are imported with the Sage journals. They can be viewed and the report layout edited. New Groups can be created. 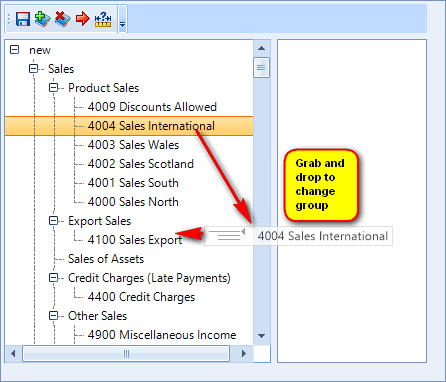 Nominal codes can moved between groups. 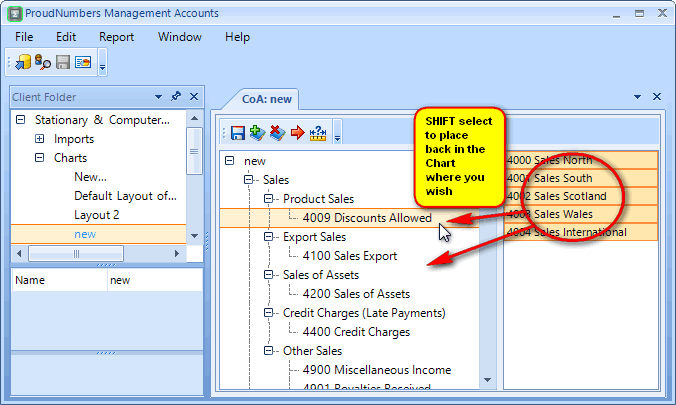 New charts cannot be created from new charts created in the program. 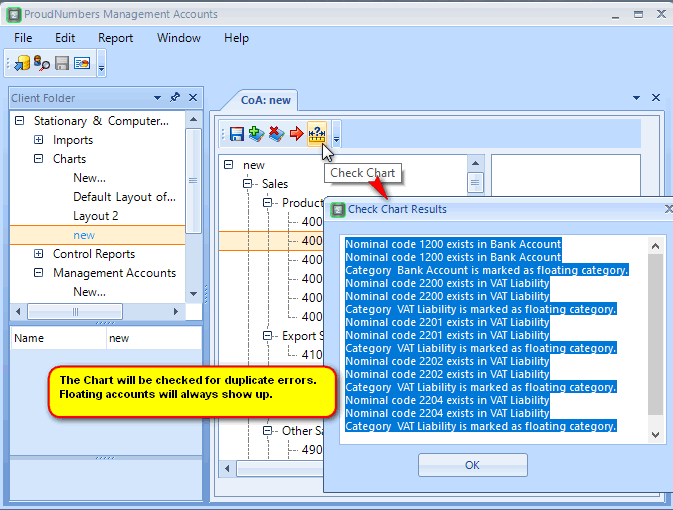 The Chart can be re-designed to give the report most suitable for your client or data. 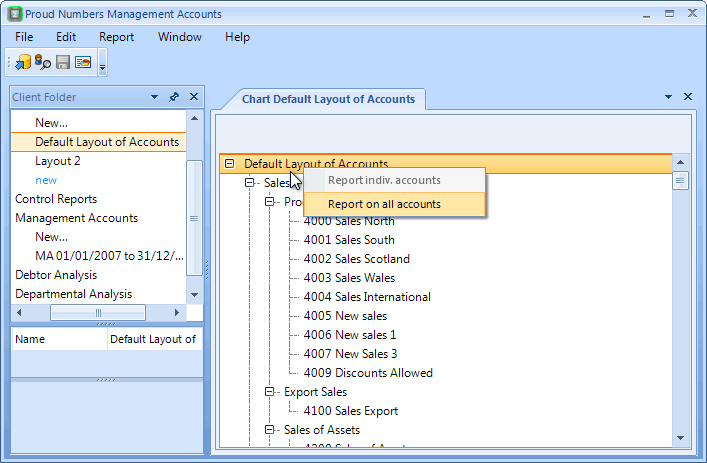 Copy an imported chart and redesign on the desk. 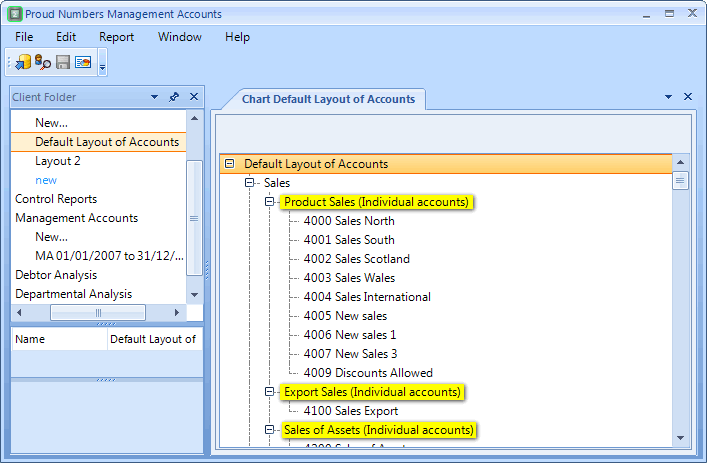 The physical content of the imported Chart cannot be changed, only the visual content creating a new chart. 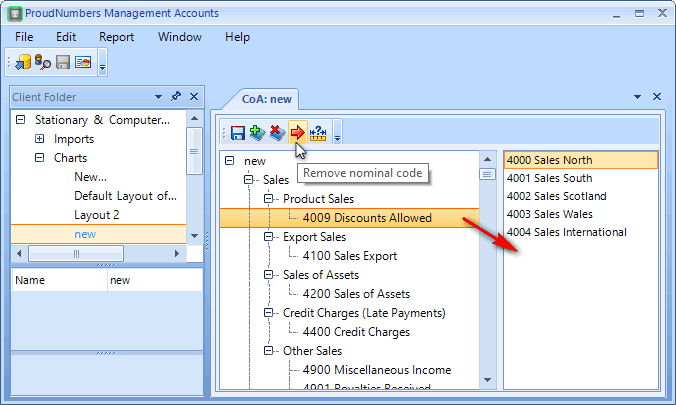 Removed nominal codes are held in the right hand field. They cannot be deleted. Add the NC back into the chart by selecting and dragging. The group may need expanding on the (+) to see the added code. 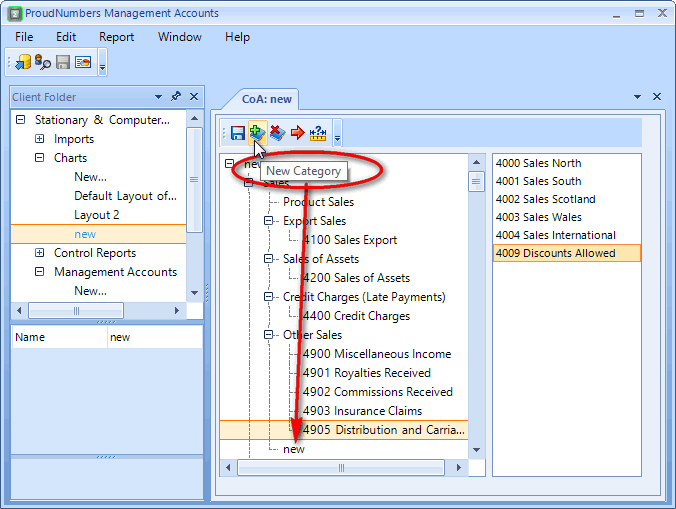 Nominal codes can be moved into different categories on the tree. Caution: this is currently not limited within the boundaries of P&L and Balance Sheet. 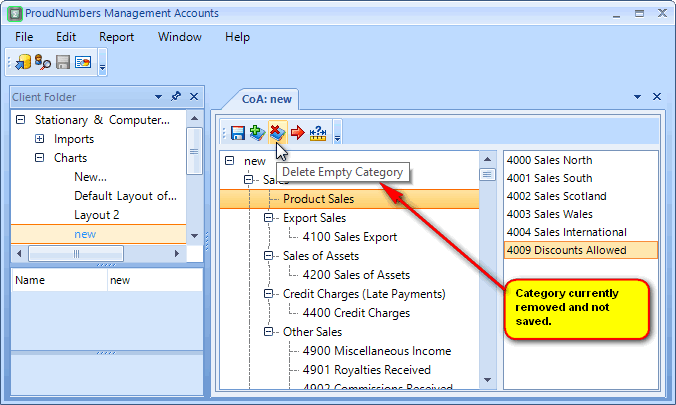 Deleted categories are permanently removed. Check the chart before use - first SAVE!